Most recent features focus on integration with other technologies, e.g. Flash, Flex, AIR, Exchange, MS Office, etc. 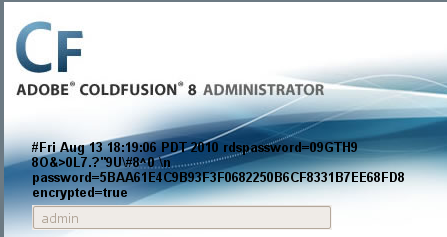 ColdFusion 9? Immunity reported yes, but Adobe fixed downloadable version of 9. so maaaaaaybe if old version of 9. There's lots more to the ColdFusion story, enough that I recently gave a talk on it. im working on getting the slides to the SOURCE ppl. im actually way late on them. i'll try to get them posted tonight. The history of CF is a little out of date. It says the latest version is 9. The latest version of ColdFusion is actually 11 and came out a couple months ago. CF also has some nice secure-by-default installation options to help admins lock it down. Yeah, I saw that *after* I posted. I came here from a link on Twitter and assumed it was a recent article. yeah it needs an update. probably not gonna happen soon though.